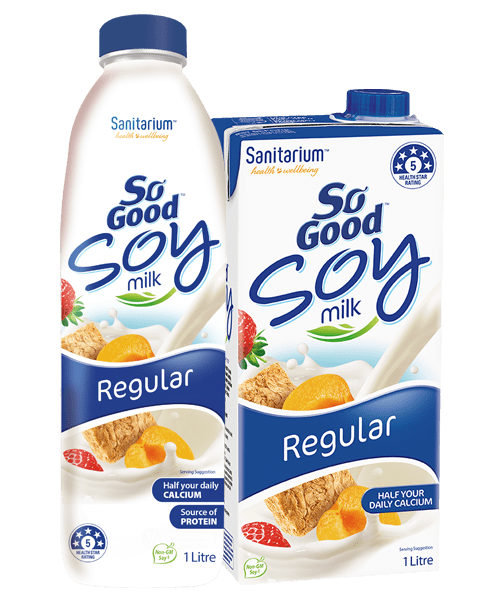 All the goodness of soymilk, with only 0.1% fat. If you love life, you’ll love the way So Good™ makes you feel. 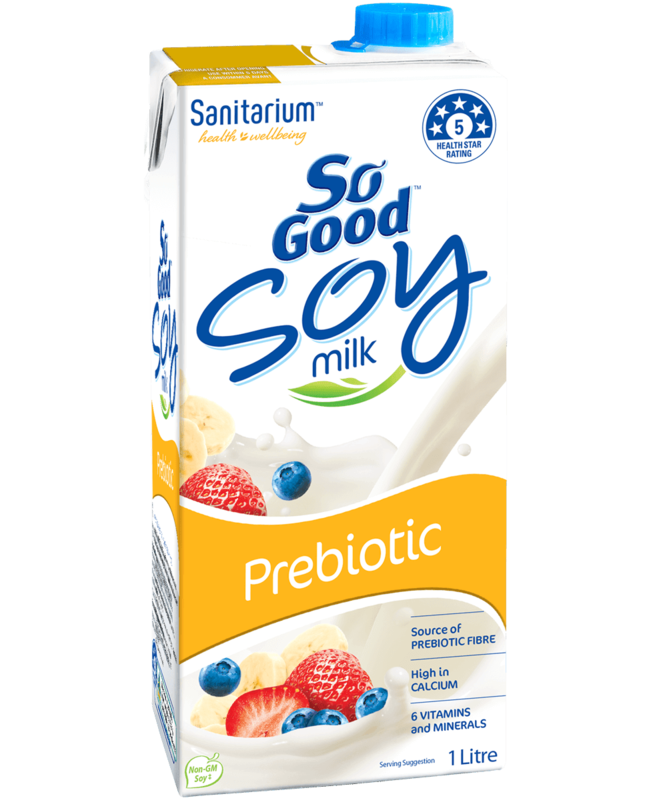 With a third of your daily calcium needs in one 250ml glass, and only 0.1% fat, So Good™ 99.9% Fat Free is a dairy-free alternative to skim milk. 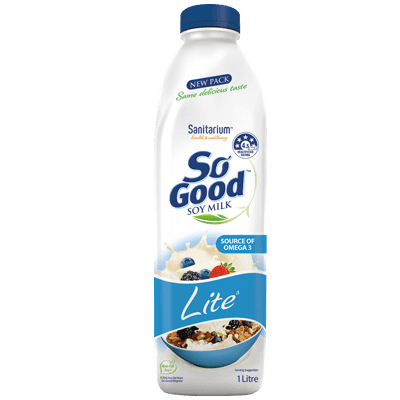 So Good™ Lite (& Fat Free) is low in saturated fat, sugars and sodium, plus it contains protein. These are important factors which contribute to the 4.5 star rating that So Good™ Lite (& Fat Free) achieves. 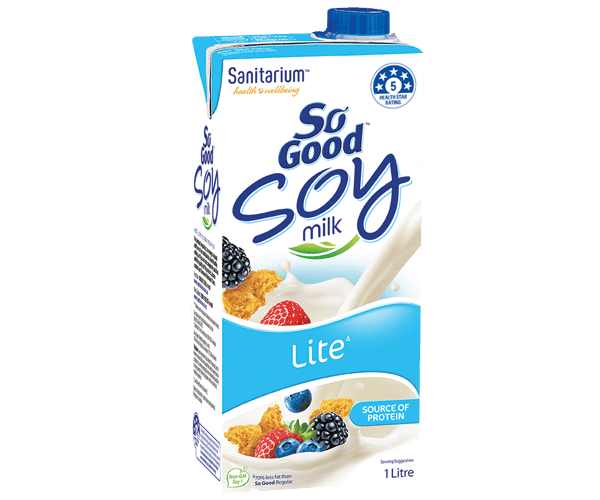 Filtered water, soy protein (3.5%), corn maltodextrin, cane sugar, acidity regulators (332, 450), minerals (calcium, phosphorus, magnesium), natural flavours, antioxidant (ascorbic acid), vitamins (B12, A, B2, D2, B1).